The first week of the new year 2019 arrives in Italy with cold all the way down to the southern regions. The starting theme for this year at #ItalianFWT – Italian Wines for Cold Winter Nights – seems to fit the season very well. Let us imagine a cosy scenery at home on a winter night in this article. Imagine a typical old Tuscan cottage or stone house with a big fireplace like those where you in older days were cooking also. Imagine a big and comfortable couch in front of this fireplace where you can sit down with a hot guy, a group of friends or a good book (perhaps with a story about a hot guy LOL). Imagine getting cosy with a glass of wine and some food ready at hand. What could be better on a cold, cold winter night? What wine would you choose for an evening in at the couch? Read on to learn more about a couple of wines that I would like to have by my side on a cold night by the fire. My own contribution this month will, therefore, be to look closer on a couple of wines that would suit an evening at home by the fire. I will cover two regions in the southern parts of Italy. Let us see if the two red wines fit the scenery for some meditation on a cold winter night. On Saturday, January 5, you can join us on Twitter at 11amEDT / 17.00 CEST to learn more about food and wine from, as well as travel experiences regarding Italian Wines for Cold Winter Nights. Just type in the hashtag #ItalianFWT in the search field and click Enter, thereafter, you click Latest which will show you all the live tweets. On a winter night by the fire, we want a wine that can somehow fulfil a mix of being full-bodied and smooth, inviting to meditation, and, of course, be pleasant to sip on. The choice is difficult because there are so many interesting and enjoyable wines that I have tasted on my travels all over Italy. However, I have decided on two wines that I have not written about before and that somehow embrace all the characteristics to make you feel good. One of the wines will be from a smaller producer that is producing wine in a more artisanal way and the second wine from a bit larger producer that you can find in the US also. We will go from Calabria to Puglia, all south again. 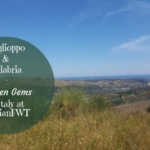 A couple of years ago, on one of my trips down to Calabria, I had been visiting Cote di Franze winery with Vincenzo Scilanga and while he was driving me back towards Cirò Marina we passed by Dell’Aquila winery. I asked him about the winery and he said: let’s see if they are home and go visit them. Vincenzo called Salvatore Dell’Aquila who seemed to be in town running errands at the moment and I told him to not disturb but that I would visit another time. It turned out though that his wife came down straight away to open the wine cellar and shortly thereafter Salvatore came running to give me a tour of their winery. They were so very kind and they even sent me a case of wine. 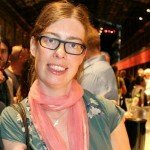 As I had been visiting so many wineries in a few days, and I had so much material to digest afterwards, I never got around to write an article. I have been feeling bad about this ever since. Last year, at Vinitaly I met Salvatore’s sister Assunta and together the two siblings are running the family winery. 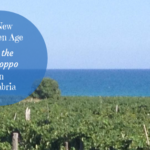 They are a small family winery in Ciró Marina that cultivates mainly Gaglioppo and Greco Bianco. They treat each of their vineyard lots with a sort of cru mentality in the sense that each wine label produced only contains grapes from a single vineyard. 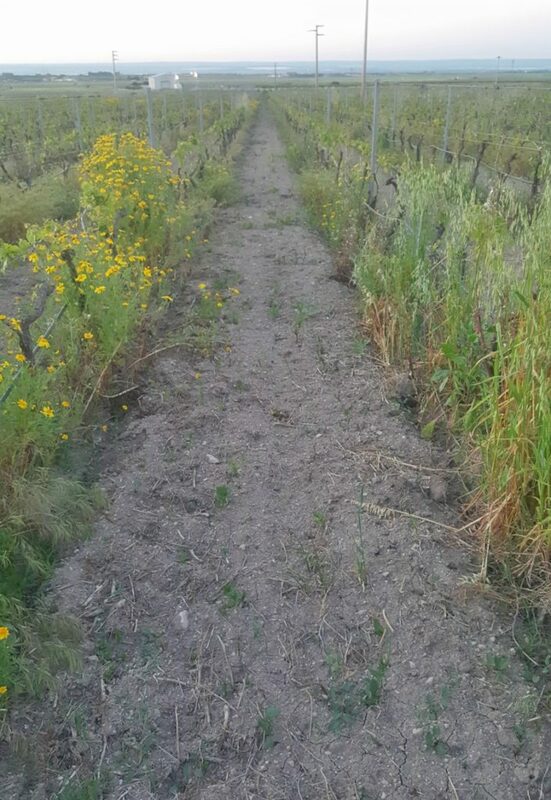 The three vineyards are Tenuta Russomanno, Vote della Cappella, and Mortilla. If I am not mistaken the grapes for the wine I am going to talk about here – Cirò Doc Rosso Classico Superiore “Gemme” 2016 – have been sourced from the Mortilla vineyard. In November last year, I got a full immersion into Cirò Doc wines again and got to see all my producer friends from Cirò at a dinner at Trattoria Da Burde. It was one of Andrea Gori’s and Trattoria Da Burde’s dinners with a wine theme. This time the theme was “Cirò Revolution”. Assunta and Salvatore were not present at the dinner in Florence but their “Gemme” wine was. Cirò Doc Rosso Classico Superiore “Gemme” 2016 is a wine that is not easy to decipher in the beginning but that slowly opens up and conquers you completely. 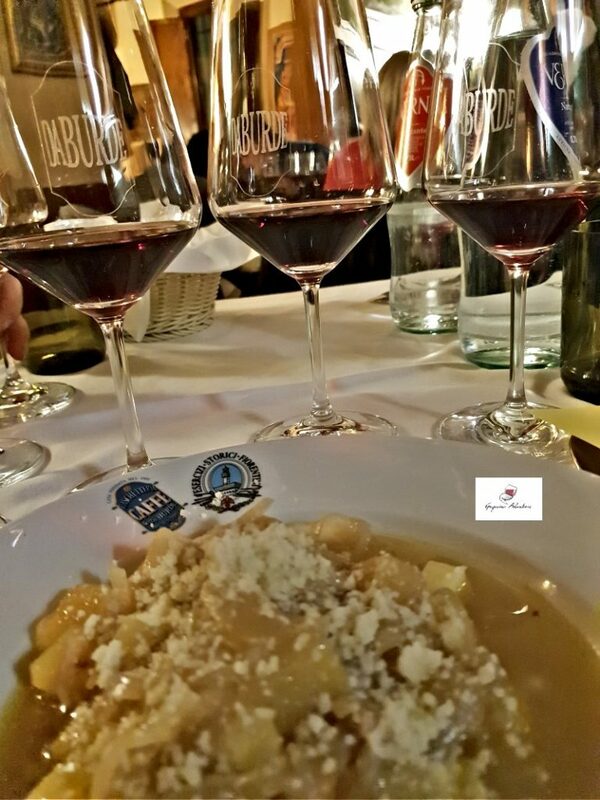 In the beginning, it felt a bit closed and with notes almost of sulfur, I think, (or was it mulch?…we were at the 5th or 6th glass by then…as at Da Burde you do not spit the wine 😉 ) but then step by step in combination also with the right local food, the true Cirò expression came forth. The tannins are there but they are not intrusive; it is a smooth wine for being a fairly young Gaglioppo. A fresh, mineral, and full-bodied wine with a hint of salty sea breeze. 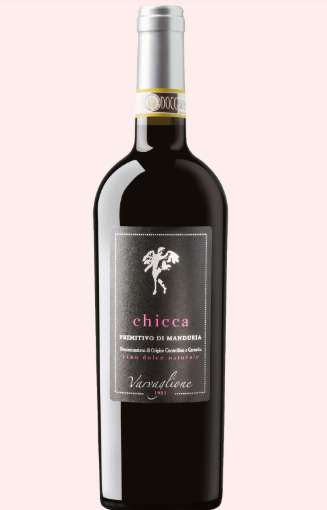 This wine I have chosen also for the person it is named after, namely Francesca – Chicca – the youngest daughter of Maria Teresa and Cosimo Varvaglione. 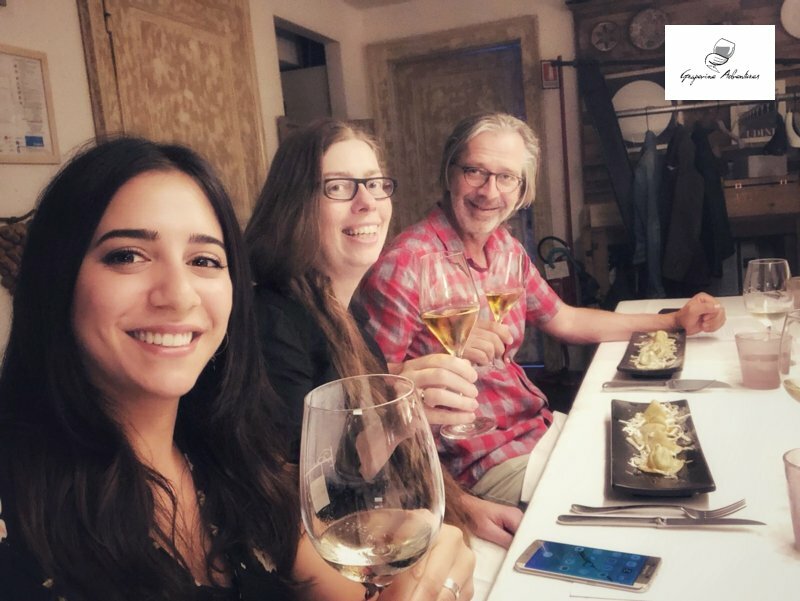 I got to know Francesca better last spring at a wine event together in Friuli where we had a lot of fun together with DOC Friuli and the girl and guys from H-Farm (Carlo Vischi, Andrea Casadei, Sigrid Nanut). Here in Friuli with Francesca and other friends. It was not the first time that I met Francesca but the first times I encountered the Varvaglione family I did not know her very well and did not really talk much with her. For those of you who are not familiar with Varvaglione 1921 winery in Puglia, it is one of the larger privately-owned family wineries in Puglia. 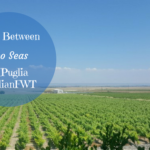 They have had a lot of success during the last few years and have been mentioned, for example, in Milano Finanza as among the 50 best small and medium-sized enterprises in Puglia and in October they were mentioned in an article in Wine Spectator. Varvaglione winery is now producing around 4 million bottles that are divided into different collections, some more exclusive than others. They have an organic line, a more trendy line, a luxury line with Cosimo Varvaglione private collection wines, the Papale line, and so forth. They have dedicated wines to all of their three children Marzia (Marfi, a white wine), Angelo (Tatu, a red Primitivo and Aglianico wine), and Francesca (Chicca, a sweet Primitivo wine). They are located in Leporano in the province of Taranto in Puglia. Last year they also acquired a Masseria (a typical old pugliese farmhouse) that they have since then renovated and it is a bit of a magical place. The Masseria Carducci had been in the family I believe in the past and has an important historical significance for Cosimo Varvaglione. 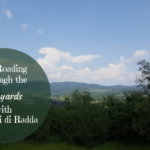 The first time I visited the Varvaglione vineyards and the Masseria that they were still renting then was via the Radici del Sud event in 2017. Last spring, I then got a more extensive tour of the winery, the vineyards, and the Masseria Carducci that they had just acquired, at the luxury weekend they had organized to celebrate their success. 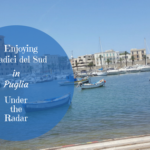 It was a fantastic couple of days where they were pampering us at the Borgo Egnazia resort and alternated relax with wine tastings, lunches, and fashionable dinner parties. 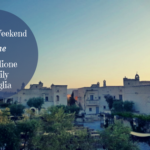 Read more about the weekend in my article A Spring Weekend with the Varvaglione Family in Puglia. The Chicca Primitivo di Manduria Dolce Naturale DOCG is a wine where the grapes are dried on the vines, on mats, or in drying rooms. It is a DOCG denomination that was established in 2011 and it needs to be produced with only Primitivo grapes grown in the provinces of Taranto and Brindisi. In this sense, it is considered a naturally sweet wine that is indeed a true meditation wine. It is sweet but still not overwhelmingly so, but it has a certain freshness and dryness to it under the sweeter and fruity traits. As I do not have a photo of my own of the bottle, this is a screenshot of the bottle from the Varvaglione website. Chicca Primitivo di Manduria Dolce Naturale is a wine with notes of mainly red and dark fruit such as cherry and plum combined with a hint of spices. It is an elegant, smooth and velvety wine with a certain structure and persistence. And, this makes it just perfect to enjoy with friends or while reading a good book in front of the fire. The suggested pairing is either with desserts or with aged cheese. So far, I have not had the wine together with Francesca herself but only in their stand at Vinitaly last year. There they had brought with them three chefs from Puglia that each day presented a lunch menu in combination with the Varvaglione wines. I tried Chicca together with Brulée of Zapponeta potatoes with crunchy raspberries and oil created by Felice Sgarra (chef at Umami restaurant in Andria). Are you feeling warmer now…? After these two wines, you should start to warm up by the fire even though it really is cold outside today. 🙂 Anyway, I hope you have enjoyed reading about these two red wines that each in their own way can warm you up during winter time. Wendy at A Day in the Life on the Farm gives us Pure Comfort~~Pasta with a Bottle of Aglianico. Martin of ENOFYLZ Wine Blog prepares A Surf and Turf Feast with Donnachiara Wines. Jill of L’Occasion posts For Table And Cellar: Warm Up With Italian Wine. David of Cooking Chat serves up Healthy Bolognese Sauce with a Tuscan Sangiovese. Jane of Always Ravenous pairs Italian Meatballs with Donnachiara Wines. Gwendolyn of Wine Predator offers 4 Montepulciano Paired with Osso Bucco Warms Up Winter Italian Style plus #ItalianFWT plans for 2019. Nicole of Somm’s Table is Cooking to the Wine: Fontanafredda Barolo and Braised Short Ribs with Mushrooms. Katarina of Grapevine Adventures encourages us to Get Cosy By The Fire With Italian Wine. 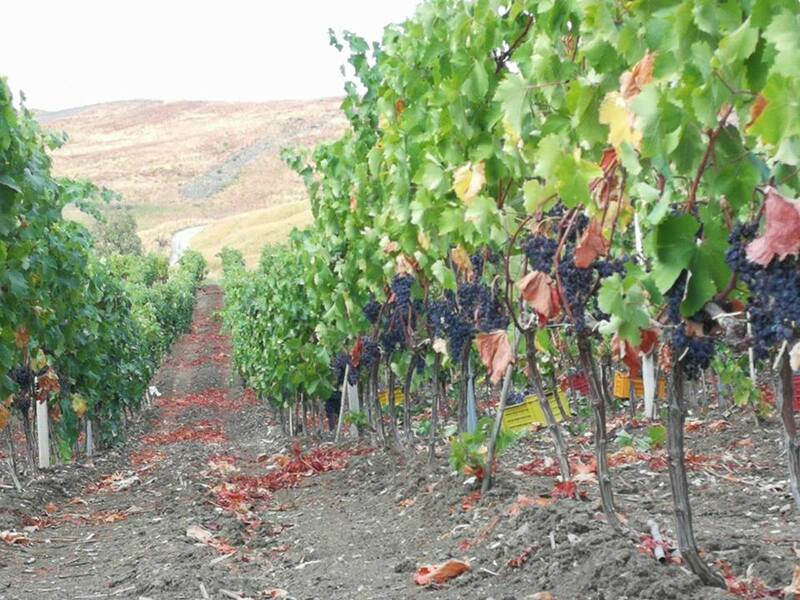 Lynn of Savor the Harvest writes about Italian Wine To Warm Your Soul. 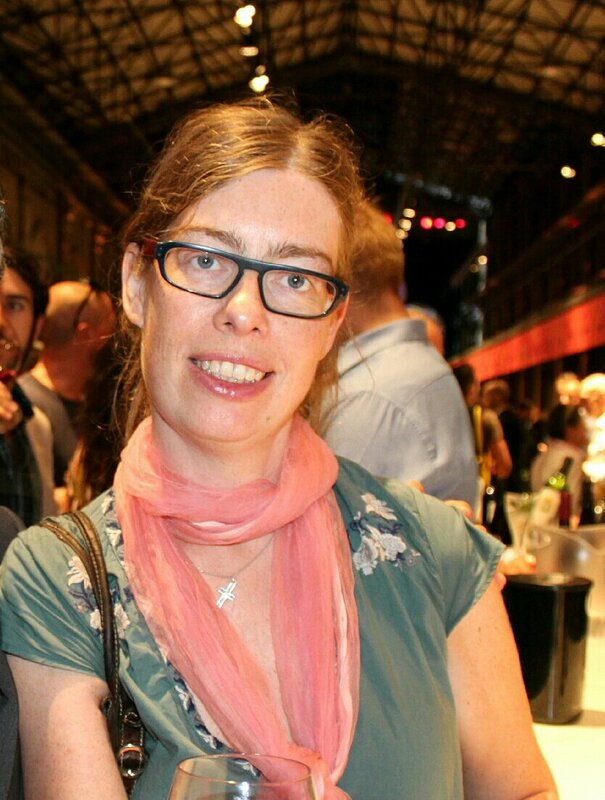 Jennifer of Vino Travels is Starting the New Year with the Big Boys: Barolo and Barbaresco. Camilla of Culinary Adventures with Camilla pairs a 2014 Camilla Barolo + Filet Mignon in a Creamy Mushroom Sauce. 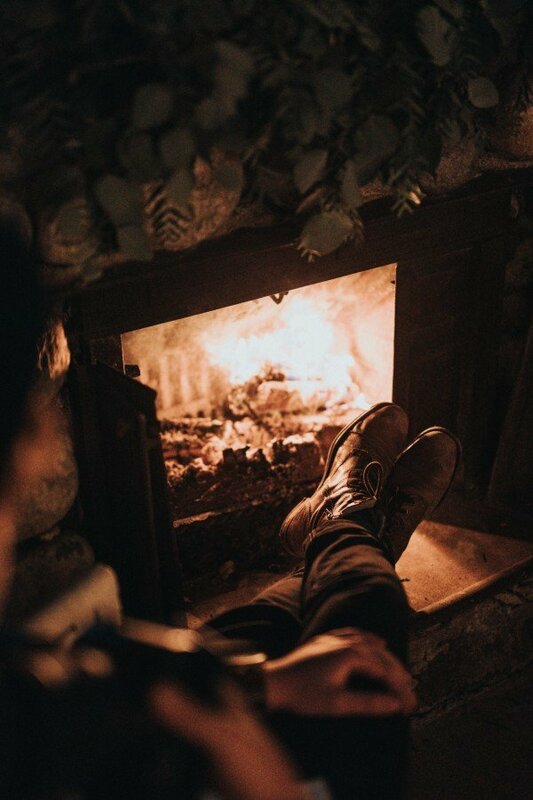 I think I could sit by that fire (your first photo) with the Salvatore Dell’Aquila Gemme wine based on your description! You had quite a year going to many areas in Italy, meeting many people and their wines. Would love to now more about Chicca Dolce Naturale. Naturally sweet from the fruit? Thanks Lynn, for the comment here. Yeah, it was an awesome year. Though I have been exhausted the last few weeks as all the last 6 months of travels caught up on me probably. Yes, Chicca is naturally sweet from the fruit that dries on the plant or on mats. A bit like we were discussing in October that often Primitivo producers let the bunches stay longer on the plant for normal Primitivo so that all the grapes ripen. Just that here it is intentionally done so as to make it a sweet wine though not overly so. Need to get hold of a bottle next time. Life doesn’t get better than a good book, a delicious wine and a roaring fire. Thanks for the imagery. I learn so much from you about the nuances of people and place — you always take the time to share deeply about the less obvious side of Italian wines. And you meet so many lovey people! Thanks for taking me to a cozy fire with a hot guy, an Italian wine tour meeting some charming people, and a wine tasting. You have left me in a very happy warm Italian state of mind! Such lovely travel memories to contemplate while sitting by the fire with these delicious wines. Fifth or sixth glass by then? Sounds like a great time. I like your two picks for getting cozy by the fire! As for me, I’d probably go with Amarone! Cin cin! I love that you picked 2 wines so different and not as explored. You get to so many places over there and I love hearing your stories. Wish I could join you. I guess it will just have to be virtually for now. Thanks for sharing!